"I cannot imagine any condition which would cause a ship to founder. I cannot conceive of any vital disaster happening to this vessel. Modern ship building has gone beyond that." (Captain Smith, Captain of Titanic). At 1:30 pm on 10 April 1912, the Titanic began her first and final voyage. For over 1,500 people this would be the last time they would ever see land. 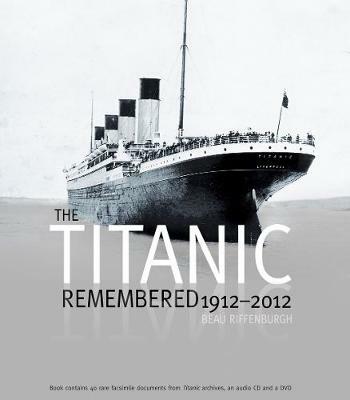 Published to coincide with this centenary The Titanic Remembered tells the complete history of this magnificent ship, from its conception as the most luxurious vessel in seafaring history, to the tragedy of its sinking and its enduring legacy. Included throughout are extracts from first-hand accounts of those who designed, built and sailed on Titanic, as well as those who lost their lives. This luxury commemorative edition comes with a specially-designed presentation case, an audio CD, 40 beautifully reproduced facsimiles of Titanic memorabilia and a DVD featuring footage of this unsinkable ship.